Whether you are diagnosing strange noises from home appliances, or inspecting computer equipment for dust, or god forbid, nests of vermin, a small camera is an indispensable tool. This Endoscopic Android Camera uses your device as a handy video display, and is going for $17.50 in our store. This posable camera is totally waterproof, making it perfect for inspecting all manner of household nooks. You can use it to get a better view of your car’s engine, or explore the source of clogged waterways. Its flexible neck is a meter long to give you ample reach inside compact machinery. It’s compatible with desktop PCs as well as Android devices, and provides a crisp image up to 720p HD. 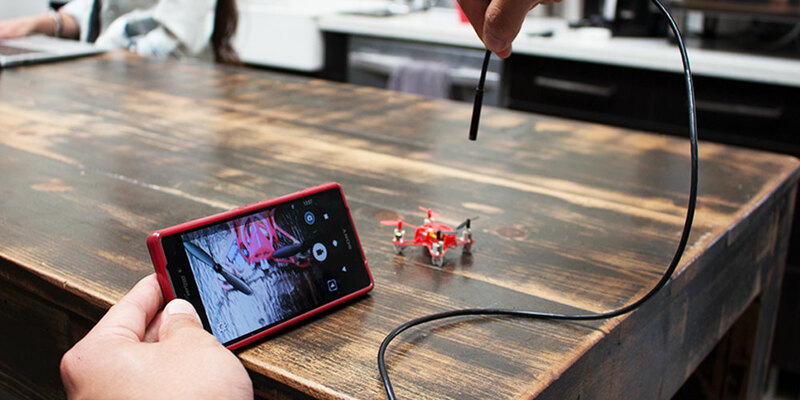 Usually $139.99, pick up this Endoscopic Android Camera here for 87% off — just $17.50.